Here is an amazing interview and giveaway from Christian Bookshelf Reviews. It is for the book The Fairest Beauty which looks to be an amazing read!!! reviews from fiction lovers like you. and tenderness that she gives her beloved garden? fruit garden and on her thriving canning business. that Samuel will marry her when he feels financially stable. what effect will this odd, amazing woman have on the entire King family? of God's wonderful love for each and every one of us. Poor Rhoda is so alone because of her gift and a community without love and understanding. her grow into a strong and courageous woman of God. really focused on his path and how he changed from a young boy into a man. thrust upon her with a wonderful and amazing faith in God. strong, and courageous as Lonnie O'Riley. 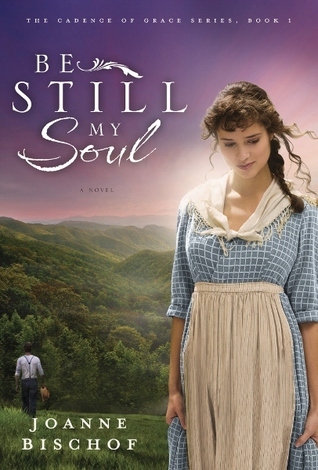 Please click on the book below to read and rate my review of Be Still My Soul. Thanks so much! Julie Lessman is giving away a copy of one of her books at Christian Bookshelf Reviews. These books look amazing! Make sure you check it out! Seeking With All Yur Heart is offering a giveaway for a signed copy of Prodigal Nights. It is written by Lisa Bufaloe, who has an AMAZING story to tell. You have to read her story. She has been through way more than any one person should have to go through and is still singing God's praise. Amazing and wonderful example to us all! 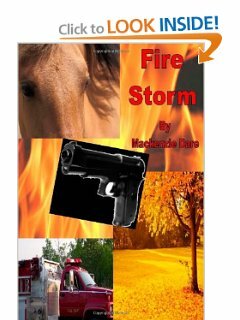 She also wrote the book Nadia's Hope which is free for the Kindle this week on Amazon.com. Ok so I have my first book for review. I will be reading it this month and then posting the review right after I finish. The book this month is Be Still My Soul by Joanne Bischof. Here is a wonderful giveaway for the book The Half-Stitched Amish Quilting Club by Wanda Brunstetter . Click the button below to go to the Giveaways of Blessing site where you can read about the author and watch a trailer about the book. :) http://www.giveawaysofblessing.blogspot.com/ for some reason the button is not working. I am soooooooo excited about this new addition to my site. Here I will be reviewing books for Blogging for Books and WaterBrook Multnomah Publishers. How wonderful! I, along with many other great reviewers, get to read Christian books, for free, and then review them so that you all have advice on the best books to read. I can not wait! Make sure to check in often to see what new books have just come out or are coming out soon! I will also post fun giveaways for you and many other wonderful things. Enjoy!